The Maandookya Upanishad refers to four states of consciousness - wakefulness, dreaming, dreamless sleep and the Absolute, explained through the principle of AUM. AUM consists of three elements - ‘a’, ‘u’ and ‘m’. The ‘a’ corresponds to the state of wakefulness (jagrata), wherein one is aware of sensory experiences. The ‘u’ corresponds to the state of dreaming sleep (svapna), where the mind is the only thing that is awake. The ‘m’ corresponds to the state of dreamless sleep (susupti), where only the self (aatman) is aware of this experience. The silence that follows the chanting of AUM corresponds to the fourth state (turiya). Turiya, which literally means “The Fourth” is the ultimate state of consciousness. It is the three preceding levels, yet it transcends them all. It is consciousness itself. The Maandookya Upanishad belongs to the Atharva Veda. It is one of the shortest Upanishads, containing only 12 verses. It’s length however, in no way detracts from the knowledge contained within it. 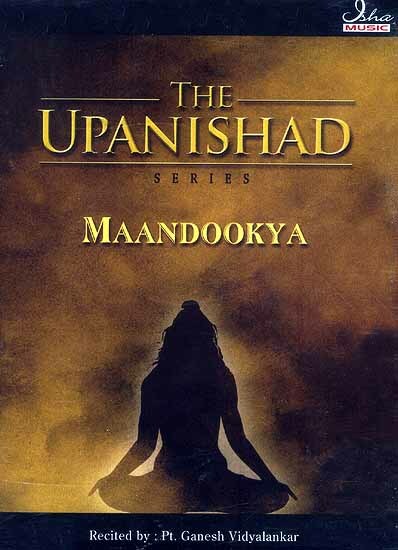 In fact, the Muktikopanishad says that if a person cannot afford to study all of the Upanishads, it is enough to read just the Maandookya Upanishad.